Consolation literature isn’t read for pleasure; and in the aggregate can strike us as mawkish and sentimental and melodramatic. It’s difficult even to use the word “literature” to describe the books: the writing is utilitarian, and not particularly beautiful or deep or nuanced. But the bereaved can find consolation from works that are far from artistic. The Early Dead is a large collection of poetry intended for the consolation of parents losing a child. While the editor isn’t listed on the title page, he makes his identity known throughout the book, which reprints works written as memorials to his twin daughters. William Chalmers Whitcomb was a minister prominent in the abolitionist movement; appointed a chaplaincy at the U. S. hospital in Newbern, North Carolina, in 1862, he died in Newbern in 1864 at the age of 44. But life after death can be better than life before it. Children who have died are safe in heaven, surrounded by angels. And, there, families torn apart by death on earth can be complete for eternity, safe, immortal. In “the Celestial State,” Whitcomb asserts, “none of the inhabitants ever say, ‘I am sick,’ … death never enters, and … all is life and immortality.” [The True Consoler; p. 97. page images at hathitrust.org] The death of a child is a reminder to take heart in religion, and the end result would be a complete and eternal family. The death of even one child is a tragedy. The Early Dead memorializes several children: Jennie Sharp (1853-1857), a very distant relative of Samuel Griswold Goodrich; Clara Merriam Bartlett (1852-1857); Charles Webster (1821-1824); William Ephraim Wheeler (1844-1846), brother of Harriet Lincoln Wheeler Whitcomb; and Grace Webster Hinsdale (1854-1857), Charles Haddock Hinsdale (1851-1857), and Theodore Swan Hinsdale (1856-1857), related to Daniel Webster. And, probably, a number of children whose names weren’t connected to the poems about them. In this variety, mourners would have found something to comfort them: a line that spoke to them; an explanation for their broken hearts; an assurance that their children still lived, if only in a spiritual state; a reminder that other parents had endured the unendurable. 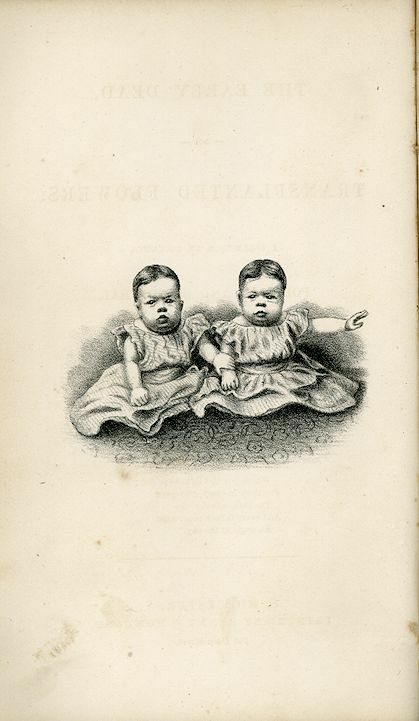 Whitcomb’s preface alone would have likely been a source of consolation, mentioning his dead twins and exploring the ways in which a grieving parent might find comfort. The book ends with sentences from the Bible: small snippets acting as reminders to readers of passages they probably already knew. The first are from the Old Testament, and mostly concern the deaths of children. The last are from the New Testament, and they focus on God’s acceptance of them and a reminder of the special place of children in heaven—consolation indeed for the book’s original audience. The Early Dead is presented here as a single file, with the original page numbers. Biographical information on several subjects of the poems is included with the poem about them. This copy’s distinctive spine makes it easy to find on a shelf. The sole review found appears below. I would like to acknowledge the excellent family historians who have presented their work at ancestry.com for information on the Whitcomb family and the children memorialized in The Early Dead; I could not have completed my research without their well-laid trails to the information. marriage: “Married.” Boston Weekly Messenger [Boston, Massachusetts] 7 May 1851; p. 3.
as an abolitionist preacher: L. O. LeFavre. “Letter to a Clergyman.” The Liberator 10 March 1854; p. 39. William C. Whitcomb. “Correction, &c.” The Liberator 25 August 1854; p. 4. L. O. LeFaire. “Credit to Whom Credit is Due.” The Liberator 8 Sept 1854; p. 143.
career: “Dismission at Stoneham.” Boston Recorder [Boston, Massachusetts] 19 July 1855; p. 114. “Local Intelligence.” National Aegis [Worcester, Massachusetts] 1 Aug 1855; p. 2. “Religious Intelligence.” The New York Herald [New York, New York] 26 April 1857; p. 5. Several hundred of the friends of Rev. William C. Whitcomb. Boston Recorder [Boston, Massachusetts] 17 Feb 1859; p. 26. Rev. William C. Whitcomb. Boston Daily Advertiser [Boston, Massachusetts] 16 July 1862; p. 2.
death & insolvency: “Death of Chaplain Whitcomb.” The Liberator 18 November 1864; p. 187. “Commissioner’s Notice.” New-Hampshire Sentinel [Keene, New Hampshire] 19 Jan 1865; p. 4. “Legal Notices.” New-Hampshire Sentinel [Keene, New Hampshire] 13 July 1865; p. 4.
Review. Happy Home and Parlor Magazine 7 (February 1858); p. 143. The Early Dead is an excellent collection of poetry designed for those who have been bereaved of children. The compiler is Rev. W. C. Whitcomb, and he has brought together in this little volume, the cream of all that has been written and published on the death of children. It will be hig[h]ly valued by afflicted parents as being congenial to their bleeding hearts. We r[e]cognize in it some familiar pieces of our best poets, and we rejoice to see them here on errands of consolation.